Hello, friends! It’s been quite a while, hasn’t it? I’ve been a bit unplugged from the blogging world, (although I’ve been hanging out a bit on Instagram), and I’m finding it slightly challenging to dive back into blog writing. So many posts in my head, but where to even start?! ;) My head is a jumble of thoughts and ideas. Today, I’m going to jump into posting about the start of my 2015 goal-setting process (I’ve been following Lara Casey’s blog series and using her Powersheets again this year). I’m also currently reading Lara’s book Make It Happen (so good!). First, let me say that setting goals has been a MUCH slower (and harder) process for me this year than it has been in years past. Last year, I finished all of my Powersheet steps and set my goals by January 1. I was raring to go and couldn’t wait to get things down on paper and make things happen! This year, my mind felt blank when it came to what goals I wanted to set and what the year ahead might look like. I didn’t feel my normal energy or passion or inspiration. I felt quieter, more reflective, and to be honest, more than a little unsure. But, like Lara wrote in that adorable image above, there’s really nothing magical about January 1. I’m taking my time this year, knowing that my goals will mean more if they aren’t rushed. One of the first things I did to start my goal-setting process this year was create a Pinterest board for the year. I began pinning inspiring images that captured the way I was feeling about the year ahead, as well as all the stuff that fires me up (one of Lara’s goal-setting steps). I created the vision board below as a reminder to print and paste in my Powersheet binder. I’ll probably hang it above my desk, too. It’s a great little sampling of all the loveliness I’ve been adding to my board, and seeing everything all grouped together like that just makes me smile and feel inspired. Then yesterday, I took a vacation day and had what I call an inspiration day. I took myself out to brunch at one of my favorite local coffee shops, and surrounded by the chatter of other people and the whir of espresso machines, I sipped on my brown sugar cinnamon latte and began working through my Powersheets. The main focus of yesterday was reflecting on 2014 — both the good and the challenging. Community was a huge focus of my year (and one of my 2014 goals), and God definitely worked in that area. He blessed me with quality time with my church friends and family, new creative friendships, and a desire to start ministering to college students. I’ll likely be leading a women’s discipleship group for college women this spring at my church. 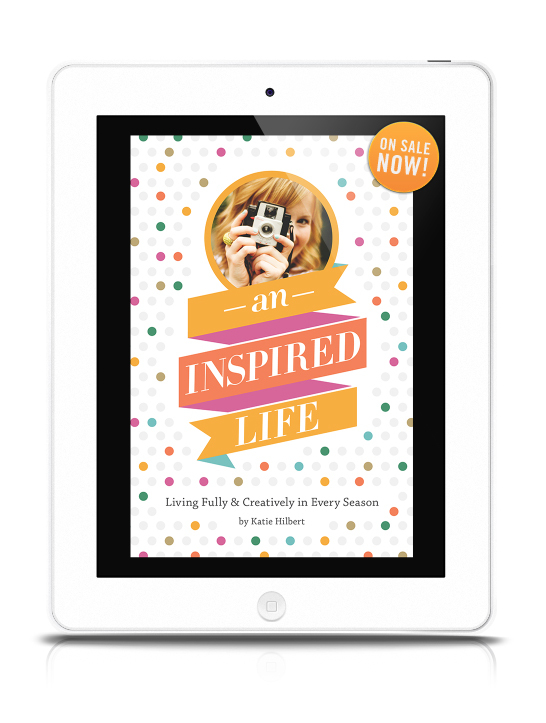 I also hosted an online book club for my eBook An Inspired Life and connected with so many wonderful women! Thinking about hosting another one in the new year (with some new expanded content)! We celebrated my grandmother’s 90th birthday and had many meaningful family gatherings this year. I often struggle with my singleness, but it has actually been a gift at times this year, because it has afforded me the opportunity to really pour into my family relationships and soak up extra special time with loved ones. I’ve continued to date with a hopeful, open heart. I do believe God has marriage in mind for me, and while I don’t know why I’m 31 and still waiting, He reminds me often that His plan is always better than mine. God has me in this season for a reason, and I want to embrace it for all that it is, while still having hope for the seasons and adventures still come for me! What I fill my mind with is CRUCIAL. I can choose to fill it with fear, negativity, bitterness, etc., or I can fill it with all that’s lovely, good, and true — the BEST, not the WORST. Investing in my health and wellness is essential (when I said yes to fresh, good food, being active, living in community, and doing what fires me up, I was blessed). Summer was a sweet time of recharging and just enjoying life…I wasn’t worried about creative deadlines or my next big project. I just focused on LIVING. I need more breaks like that and a good balance between living the stories and telling them. I have been less active online these last few months, but I think the break has helped me look ahead to the new year and really ask myself how I will be a part of the Internet in the coming year. I don’t know all the answers yet (although I do have some exciting plans with some fellow blogging friends), but I know that as I press into God, He will reveal each next step. Just in doing those reflections, I started to feel some goals and hopes begin to take shape in my mind. I’m looking forward to continuing the Powersheets process this afternoon, getting more down on paper and seeing how God uses this process to point me to the path I’ll take in this new year. And that’s exactly how I want to approach 2015. I want to seek and find God in everything. And I want to do so wholeheartedly. In the last few days, I also can’t stop thinking about the word FOLLOW. And I think for whatever reason, God has placed more than just one word on my heart this year. I want to seek and FIND God WHOLEHEARTEDLY, and I want to FOLLOW where He leads, going and doing and creating in line with His heart. So, that is my word (or words?) for 2015, and I look forward to keeping them in mind as I adventure through this brand new year of unknowns. Are you setting goals for 2015? I’d love to hear about them! Share them here, or if you’ve blogged about your goals, or started a Pinterest board, leave me a link, so I can check them out. I love to challenge myself to learn new things. (Right now, I’m learning all about hand lettering, and I’m excited to immerse myself in this new art form.) Is there something that’s piqued your curiosity? Check out your local library to see what books you can find on the subject. You can also find a lot of affordable classes online. Skillshare is a great resource on a vast array of creative topics, for example. Spending time dreaming and creating is super important to me. Think about what inspires you… Is it drawing? Painting? Gardening? Knitting? Writing? Cooking? Finding time for the things that make your heart happy is an important component of living creatively. And remember, you don’t need an entire day to devote to creating. Look for small ways to create every day. If cooking is your thing, can you try a new recipe? If you love writing, can you spend a few moments each morning or evening penning a few thoughts in your journal? I am a big fan of living with LOTS of color. I find that when I surround myself with color and art and pattern, I feel happy, inspired, and creative. Even just wearing a colorful outfit can change and brighten my mood. Life is so much sweeter when we share it, yes? I love to plan adventuring dates with friends and loved ones — and sometimes just with the Lord — so we can share the experience of discovering fresh new joys together. Being in community and sharing our stories, our art, and our lives with people we appreciate and connect with on a deeper level is such a HUGE part of living fully and creatively. Looking forward to chatting about traditions this week. Check out the video, and share your thoughts and traditions in the comments. Can’t wait to hear from everyone! 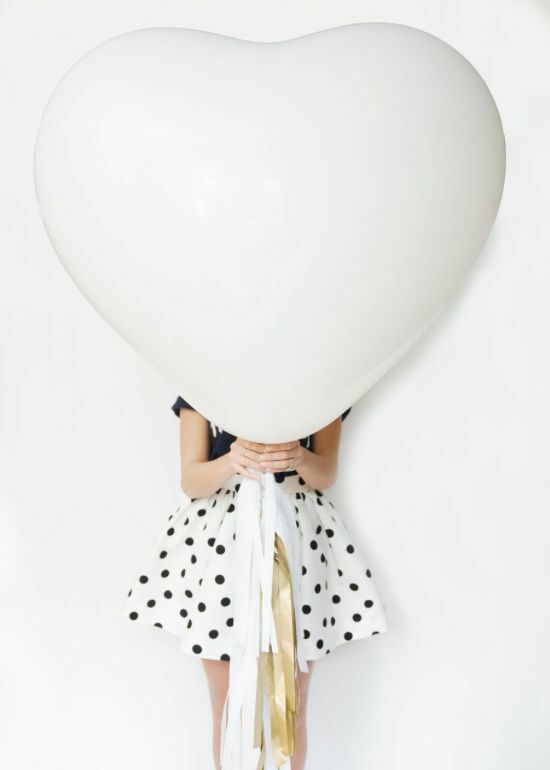 In years past, I have rolled my eyes at Valentine’s Day, wanting to ignore it completely or say something snarky and sarcastic about its arrival. Sometimes, Valentine’s Days can harden both your heart and your hopes. But, as silly as it sounds, God’s been redeeming my view of the day, right along with this season of life, and honestly, is it really a surprise? 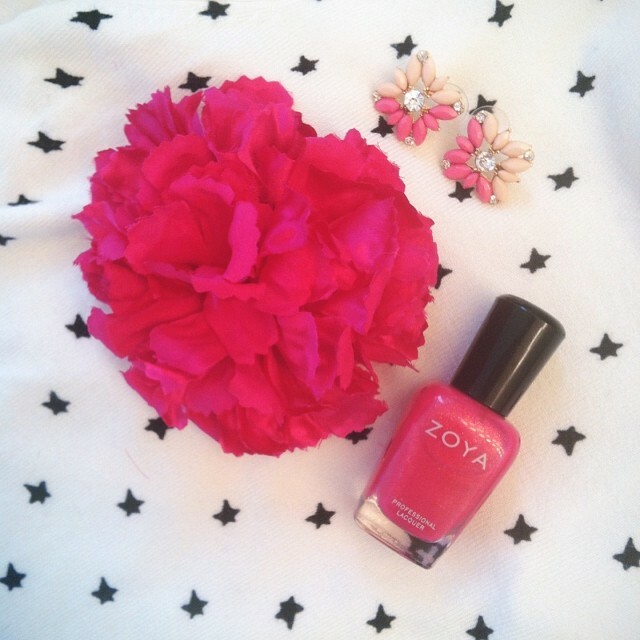 How could I not delight in a day that’s filled with chocolates and sparkle, hot pink and hearts? How could I not love passing on bits of encouragement, letting all my dear ones know just how much they’re appreciated and loved? And how could I not simply enjoy celebrating every joy I LOVE about my own life, every blessing the Lord so generously gives? Because I do not, for one moment, believe that Valentine’s Day is a day just for couples. 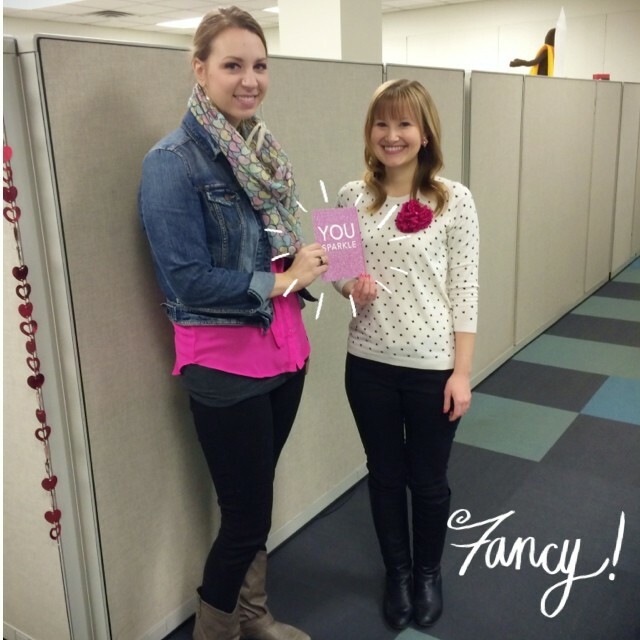 Just like any other day, Valentine’s Day can be what YOU make it. Tonight, I’ll be spending the evening with a group of girlfriends, noshing on chocolatel-y treats and celebrating everything we love about friendship. I have been so blessed in this season by inspiring friendships that add so much joy to my life, and I can’t wait to celebrate and give thanks for that tonight. Whether you’re single or part of a couple, I hope you feel the LOVE that surrounds you this Valentine’s Day weekend, and I hope you have fun celebrating the life that’s yours with the people you’re blessed to share it with. Last Saturday, I headed down to Akron with my mom to enjoy an afternoon of browsing at the 5th annual Crafty Mart. We lunched at Urban Eats Cafe, which is attached to the Crafty Mart venue at Musica. (I ate probably the best sandwich of my life: a pumpkin waffle panini! It was topped with thin apple slices, honey, fresh sage, bacon, and spinach leaves. Oh.My.Goodness. Seriously, SO GOOD! I came home with a blue spruce candle from Burning River Candle company and spent quite a bit of time swooning over the beautiful twig earrings made by Liza Michelle Jewelry. On my wish list for sure! My candle came in an upcycled glass bottle, too. How fun is that?! I love supporting local artists and events like this. 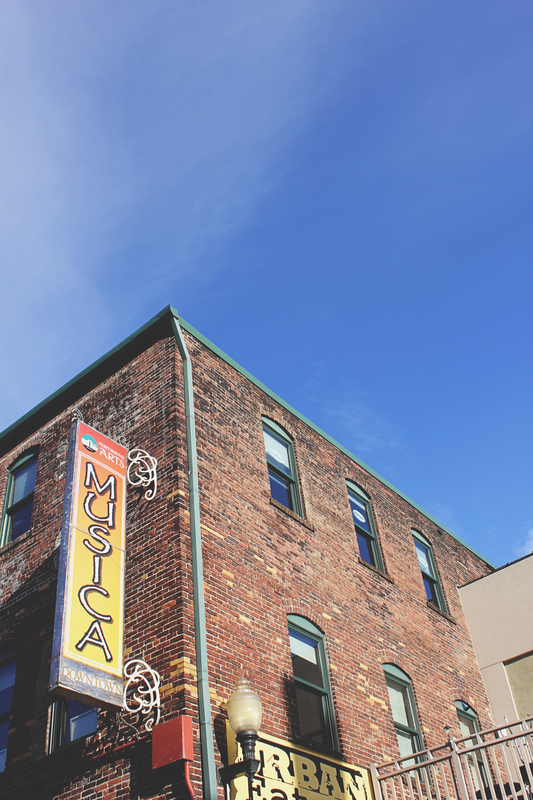 No matter where you live, there’s bound to be a few local gems to frequent. So, plan a Saturday date to explore! I fall in love with my city and the surrounding areas a little more after each adventure. And speaking of adventures, I need to head out for a little coffee shop adventuring this afternoon. I’ve got a freelance project to begin and a whole stack of Lara Casey PowerSheets that are calling my name. We aren’t meant to believe alone. I’ve been thinking a lot about the importance of community, of being vulnerable, transparent, and really doing life with people. When we’re in community, our belief can grow. It can be strengthened and nurtured and sharpened. Big dreams can be born out of solid community, and real change can occur. 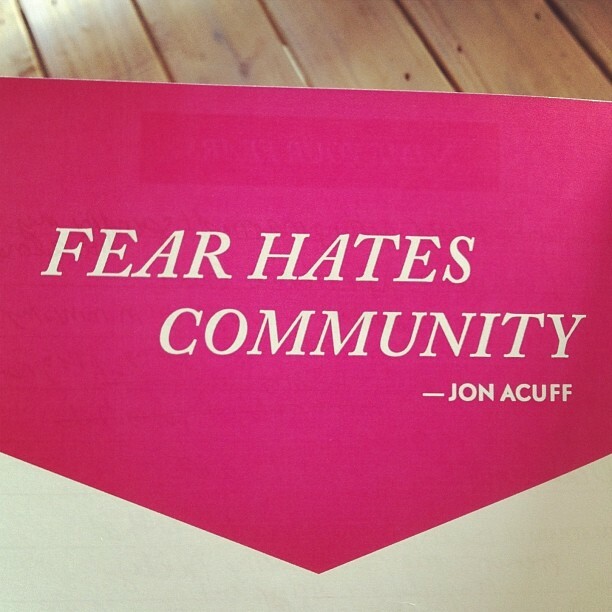 Jon Acuff says that fear hates community. And as Lara Casey says, to name our fears is to destroy them. So, when we share our lives and our hearts with people we trust, intentionally creating community, we are destroying fears and encouraging fruitfulness. It isn’t easy to create this kind of community. It takes risk and bravery and intentionality. It takes time and commitment and faithfulness. True community isn’t born overnight. It happens over many cups of coffee and text messages, over dinners, lunches, and brunches. It happens when we invite people into the messy parts of our lives, and they love us all the same. It happens when we pray, serve, and check in. When we learn how to speak truth in love, and when we learn how to receive hard truths with grace. It happens when we create safe places for people to grow and learn and just be. Even though it’s hard to come by, and even harder to build, we have to fight for this kind of community. We have to make it a priority to fill our lives with people who build us up, challenge us, and walk beside us. We have to make it a priority to invest in others and allow them to invest in us. Because eventually, these are the people who know our stories — the good and the bad. The people who can see the potential we carry inside — and who will push us to never stop growing. These are the people who will celebrate with us, cry with us, and act silly with us. The people who believe in our hopes and our dreams — even when we don’t. These are the people who teach us how to love better and believe bigger. This weekend, I’m excited to celebrate exciting new beginnings. September marks many fresh starts and new adventures for me, and I’m thankful for His hand in it all. Here’s to living a little, dancing crazy, wearing sparkles and sequins, being with friends and family, and celebrating the new things He’s doing in our lives! I just got back from an amazing trip to California. When I get back from seeing other cities and states, my heart is always full of gratitude and inspiration. We are so blessed when we step outside of our comfort zones, aren’t we — when we leave the areas and places we find most familiar and comforting? I’m learning how to do this more — not just when it comes to traveling, but also just living life. He’s constantly calling us to experience MORE. I fell in love with California’s sea-salt bay breezes, corner coffee shops, vibrant colors, history, and creative culture. I sampled chocolates at Ghiradelli Square, stood in the sparkly sand at Whiskeytown Lake (yes, it had flecks of gold sparkles in it!! ), had my first Pinkberry experience (the chocolate and almond slivers do not disappoint! ), and enjoyed lots of sweet moments with my sister and one of my dearest friends. I was inspired by clear blue skies, found fonts, vintage architecture, quirky shops and boutiques, and lots of delicious food. I left feeling thankful for the people God’s placed in my life — the family members who feel like friends and the friends who feel like family. I left knowing that His Hand is truly at work in this season, adding color, meaning, and beauty. I left knowing that He’s given me a story to live and share as vibrantly and faithfully as I can.